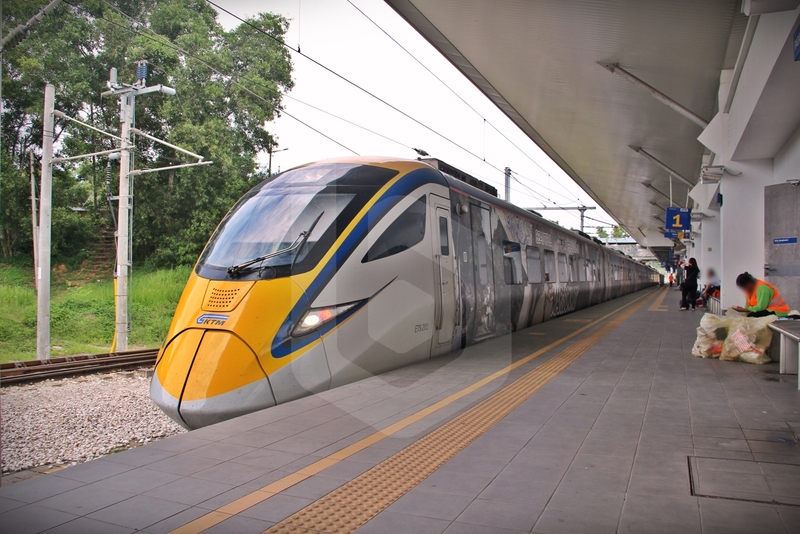 KTM ETS service is a convenient and fast way to travel from Padang Besar to Kuala Lumpur, connecting the border town in the northern state of Perlis, Malaysia, near Songkhla province, Thailand, to KL Sentral station, the major transportation hub in Kuala Lumpur. The Padang Besar – KL Sentral route is a heavily-used line spanning more than half of the west coast of Peninsular Malaysia. 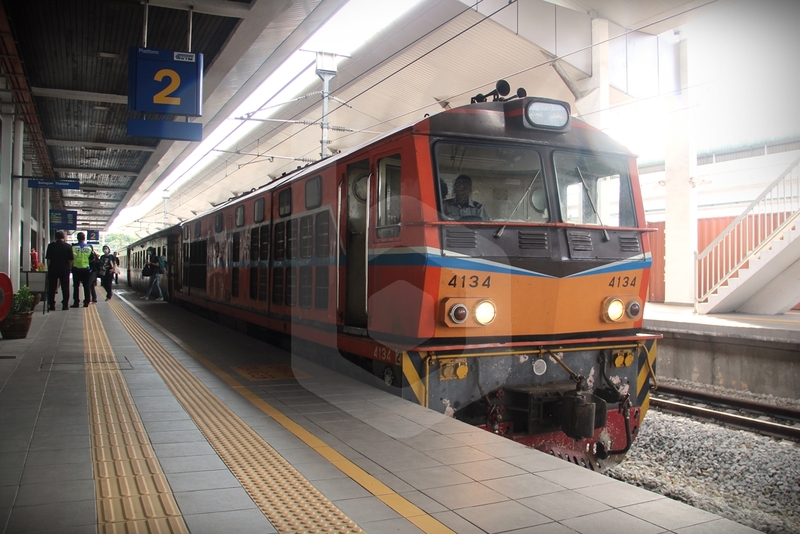 Once a route with limited services, the newly upgraded electrified double track railway line has spurred development in the northern region, and frequent short-distance local Komuter trains and long-distance express ETS trains now ply the line. 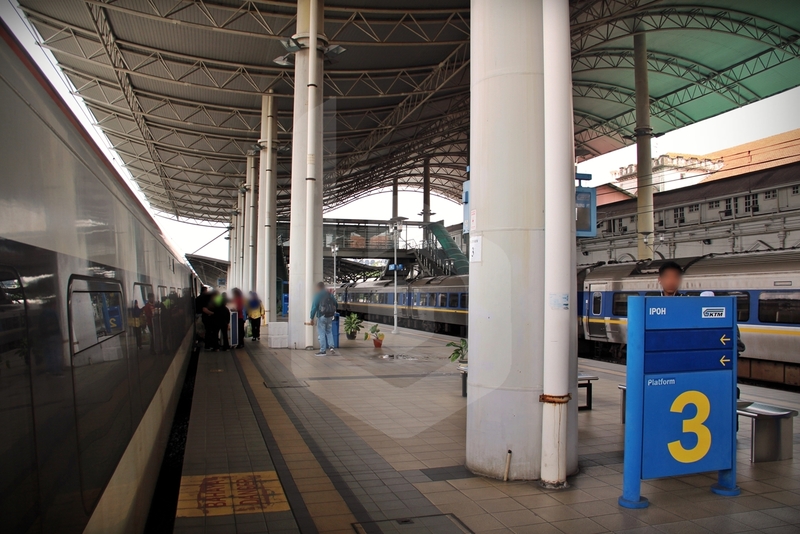 Passengers arriving to Padang Besar by train from Bangkok, Surat Thani or Hat Yai can easily connect with ETS services to Kuala Lumpur, the capital of Malaysia. The ETS, or Electric Train Service, is the current standard of long-distance train travel on the west coast of Malaysia. Trains are classified into ETS Gold and ETS Platinum services on this route, with the ETS Platinum offering a slightly faster journey stopping only at key stations. However, there is no difference in the actual seat or service standard on board the ETS train. 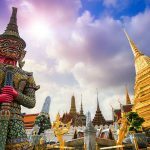 If you are arriving from Thailand by train, you do not need to change station. After clearing immigration, you will find yourself in Malaysian territory, ready to board the ETS trains operated by KTM. 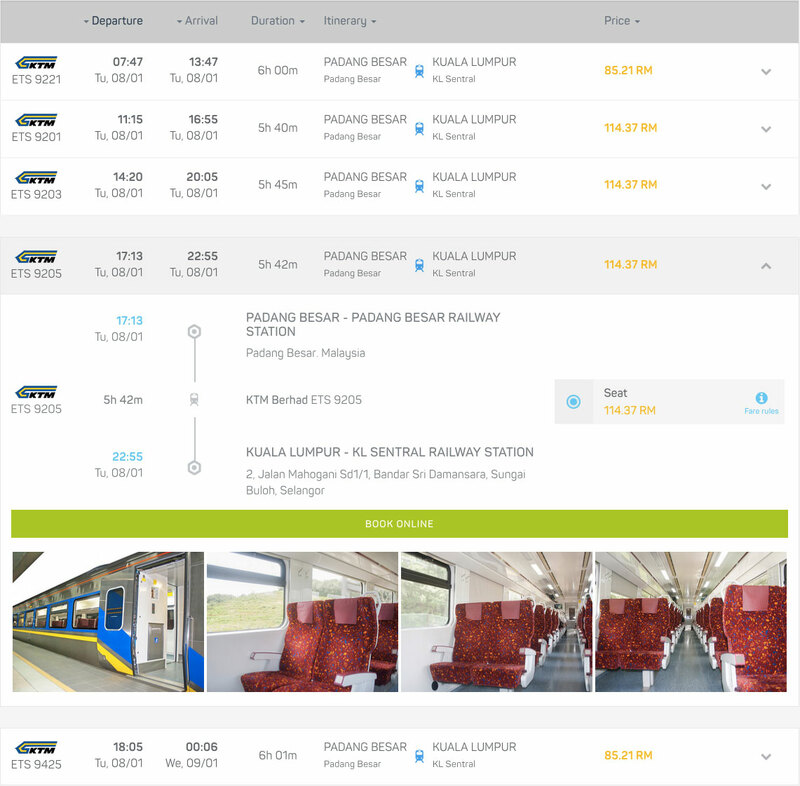 If you book your train tickets online with Baolau, just flash the electronic ticket for your train to Kuala Lumpur at the boarding gate to head down to the platform of Padang Besar station. Flash it again when the conductor comes through the train to check for tickets. It’s that simple. ETS Platinum trains are usually formed of 93 Class 6-car train sets manufactured by CRRC Zhuzhou, with Coach F on the Padang Besar (north) end and Coach A on the KL Sentral (south) end. 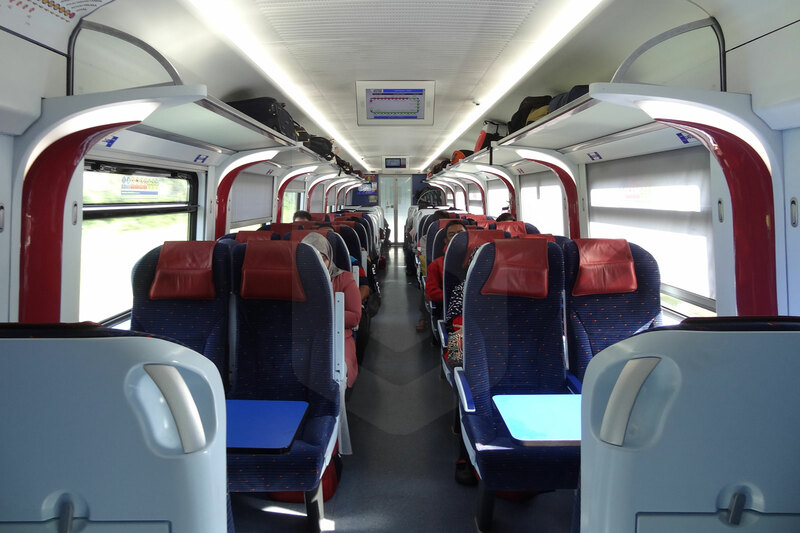 In ETS trains, there is only one class of travel on board, Soft seats in a 2+2 row configuration. Seats can be reclined, and there is a power socket between each pair of seats. In case you show up early for departure and want some snacks, there is a cafeteria right on the platform, which makes it very convenient to wait for your train. Otherwise, once you board the ETS service you will find a Bistro available on Coach C, selling hot (microwaved) local meals. 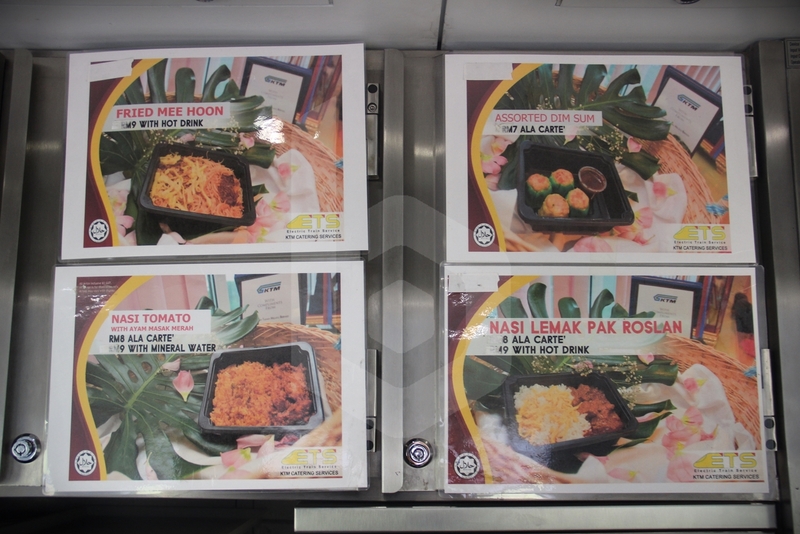 The on-board Bistro opens 30 minutes after departure from Padang Besar (near Alor Setar station) and closes approximately slightly more than 1 hour prior to arrival at KL Sentral (when passing through Tanjung Malim station), or when food runs out, whichever is earlier. 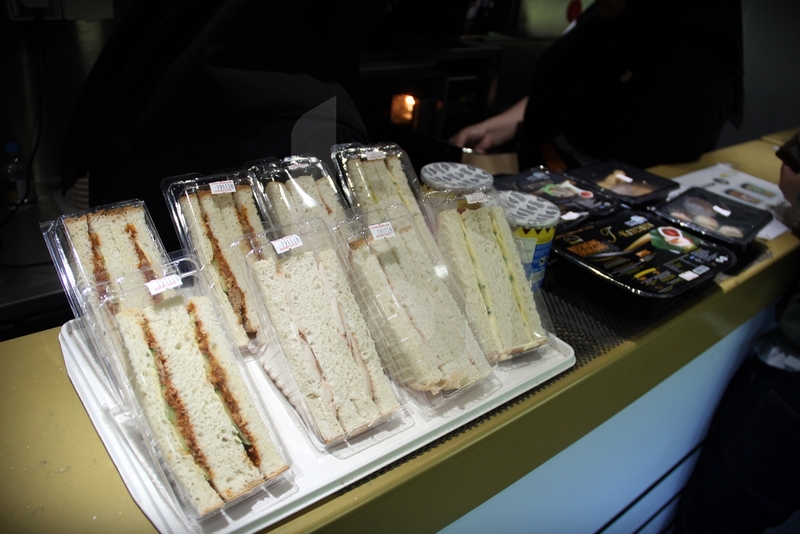 Some meal options will be on display on the counter and there is also a menu of other dishes available on request. Ask the bistro staff to check on your favourite selection. A Nasi Lemak with hot drink combo can cost RM9. It’s one of the original dishes on ETS trains that has remained on the menu constant in both look and taste. 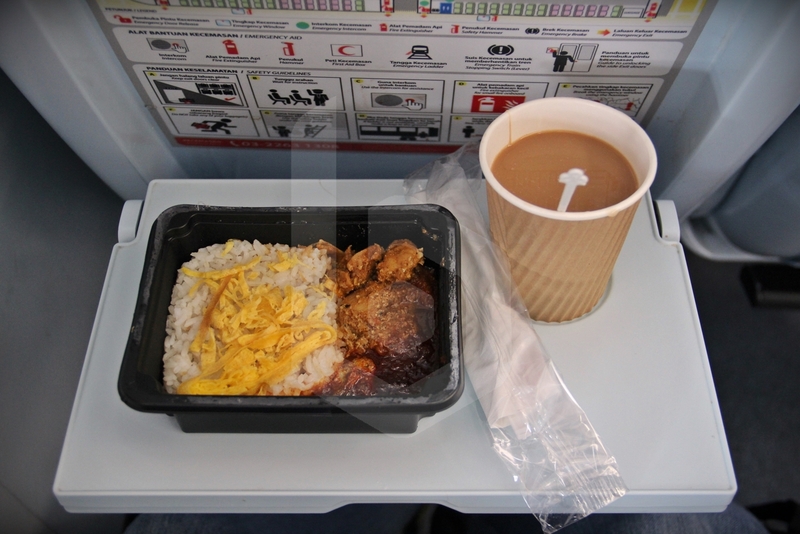 It tastes reasonably good, slightly better than airline Nasi Lemak meals. 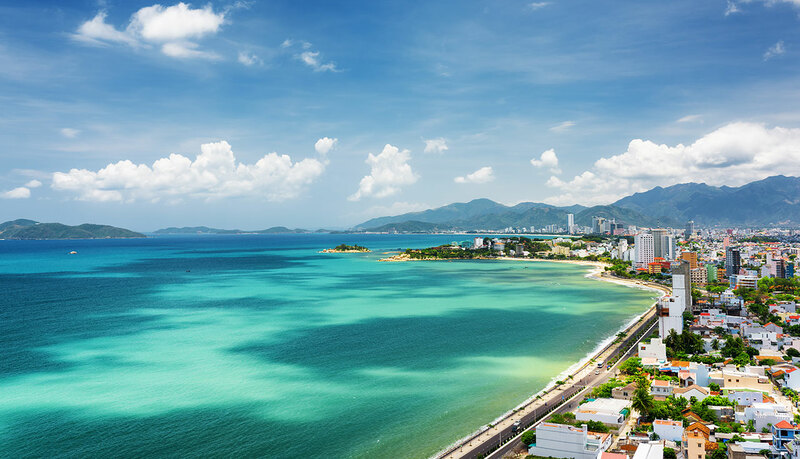 Malaysian meals onboard may get a bit spicy, so you might want to check with the staff if the meals contain chili in case you are not used to the spiciness in Southeast Asia. 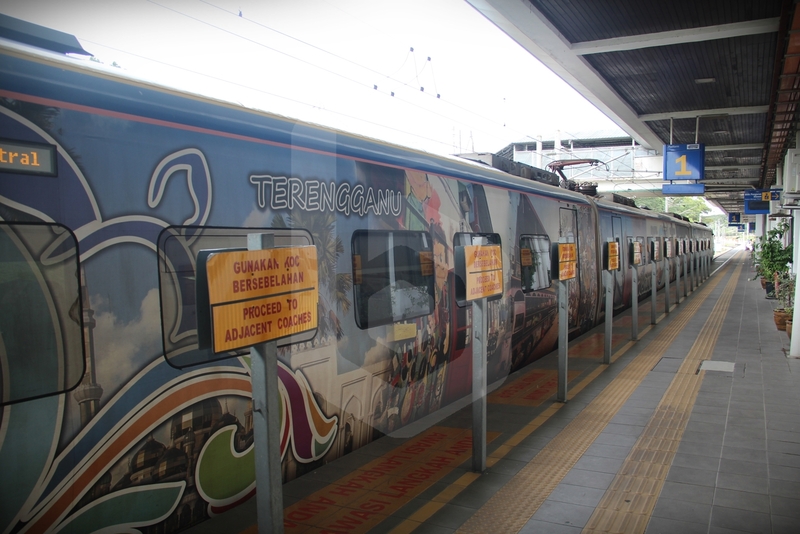 The ETS service between Padang Besar and Kuala Lumpur makes intermediate stops only at key stations on the line, namely Arau, Alor Setar, Sungai Petani, Taiping, Ipoh, Batu Gajah and Kampar. 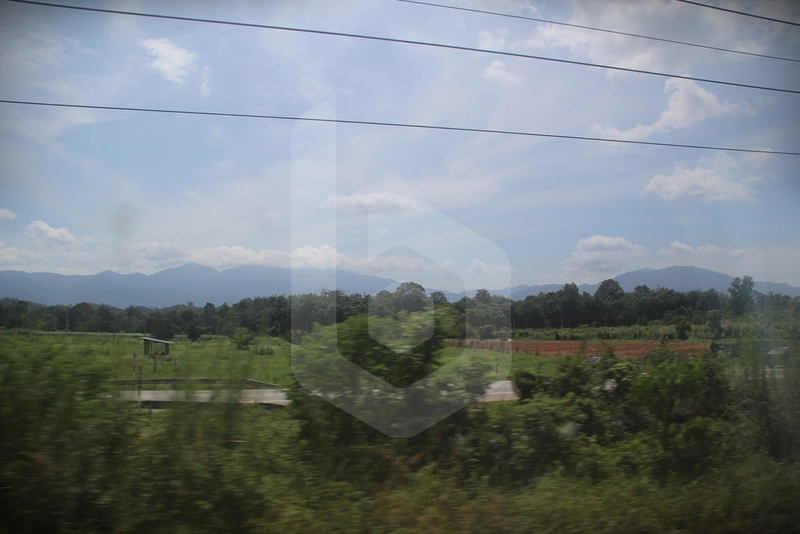 As compared with other trains on the Ipoh – Kuala Lumpur route, the ETS Platinum skips all stations between Kampar and Kuala Lumpur making it a journey of less than 6 hours with very few breaks. 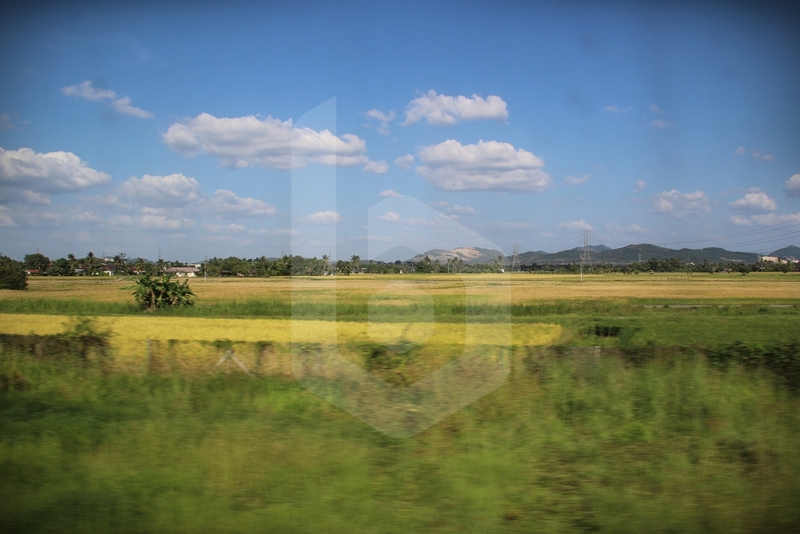 After departure, the train will take you through the northern states of Peninsular Malaysia, passing through picturesque paddy fields. 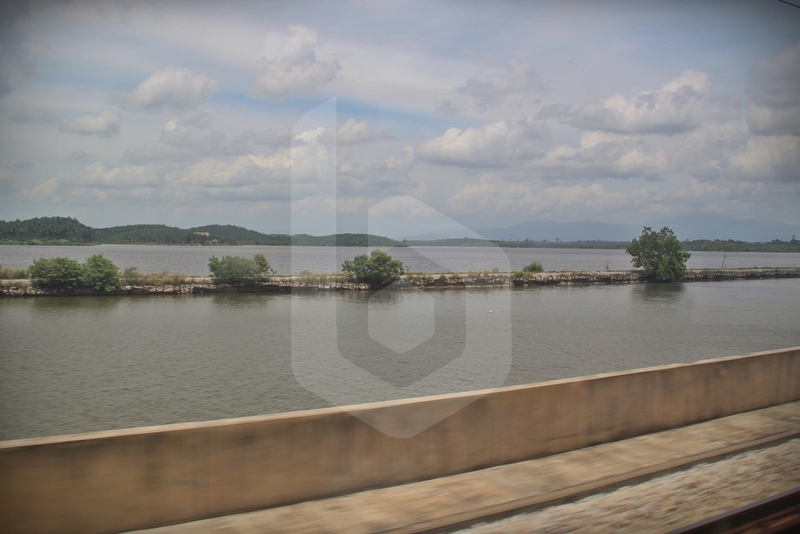 Definitely a sight to look out for is the train crossing Bukit Merah Lake, few minutes after passing by Bagan Serai station. With the water surrounding the railway bridge, it would feel somewhat as if you are on a speeding boat instead of a train. 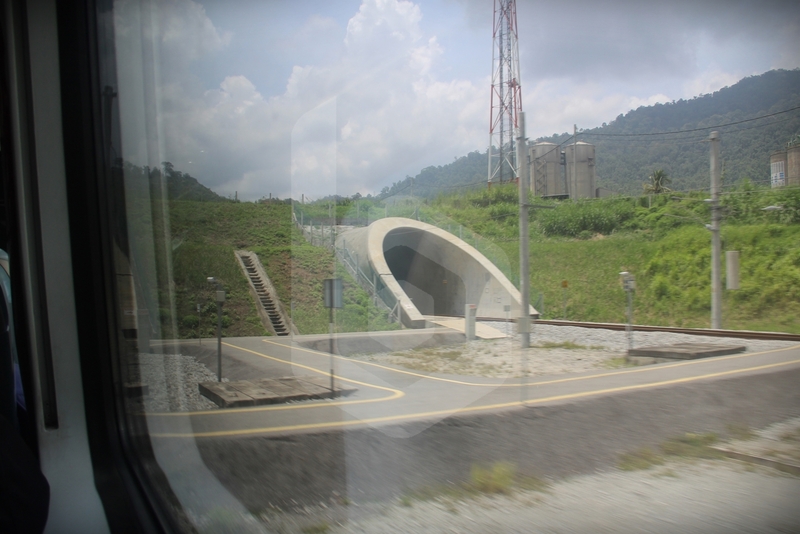 The train also passes through the Bukit Berapit Tunnel, the longest railway tunnel on Malaysia’s railway network. You may experience some pressure in your ears when entering and exiting the tunnel. Making a brief stop at the classic Ipoh Railway Station, still keeping its original colonial design for the station building while having modern high platforms on electrified tracks. 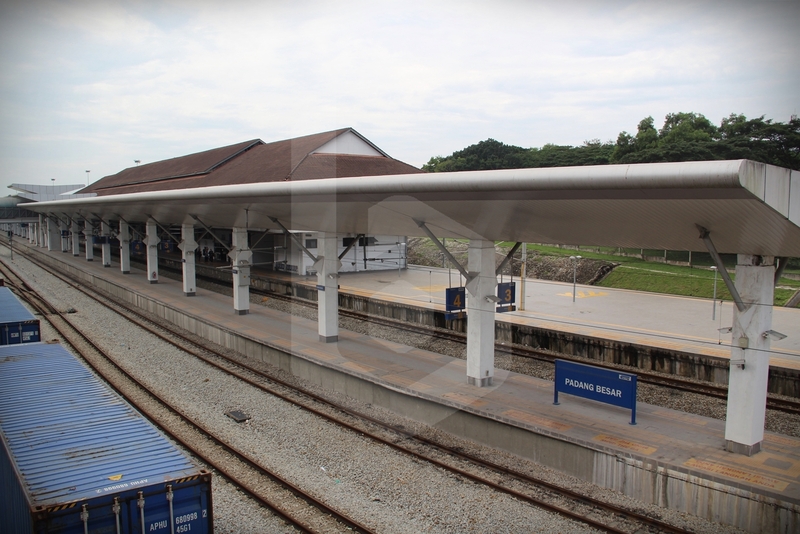 After Kampar station, the journey continues non-stop to the old Kuala Lumpur Railway Station. If you are heading to Chinatown, you may alight at the majestic Kuala Lumpur Railway Station and walk there as it is just beside the area. This grand old dame was once the railway terminus in its heyday, nowadays the main railway transportation hub is KL Sentral, the next stop. 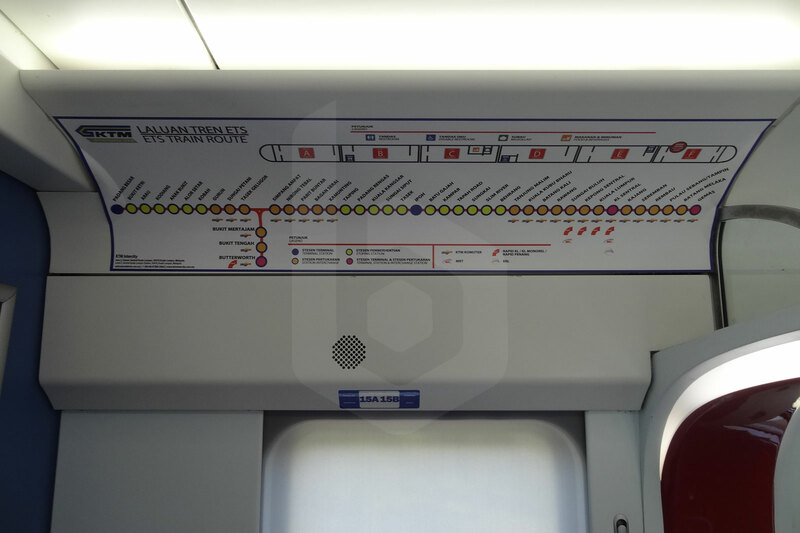 The journey from Kuala Lumpur Railway Station to KL Sentral Railway Station takes 5 minutes. KL Sentral platforms are on the ground level, however, it does feel that the train has gone underground with the fully covered platforms. 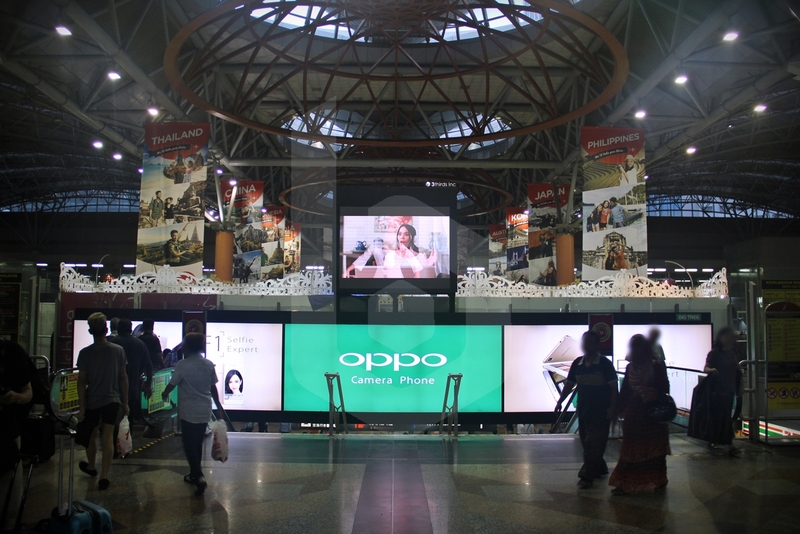 KL Sentral is an integrated multi-modal transport hub. From here, you may change to the KTM Komuter, RapidKL LRT Kelana Jaya Line, RapidKL Monorail Line, RapidKL MRT Sungai Buloh – Kajang Line, KLIA Ekspres, KLIA Transit, intercity buses to KLIA, KLIA2, Genting Highlands, local RapidKL buses, free GoKL buses, and should you decide that none of these are suitable for you, the good ol’ taxis. Tickets on the ETS train runs out pretty quickly for popular departure times, so we recommend that you book your tickets early in advance to secure your seat once you have sorted out your travel plans.